I don't own a TV, though if I did I would totally be watching the premiere of Mad Men this coming Sunday. Honestly, I must confess I have no idea what the show is about, but that's okay, there's drool worthy vintage styling and that's all I need. 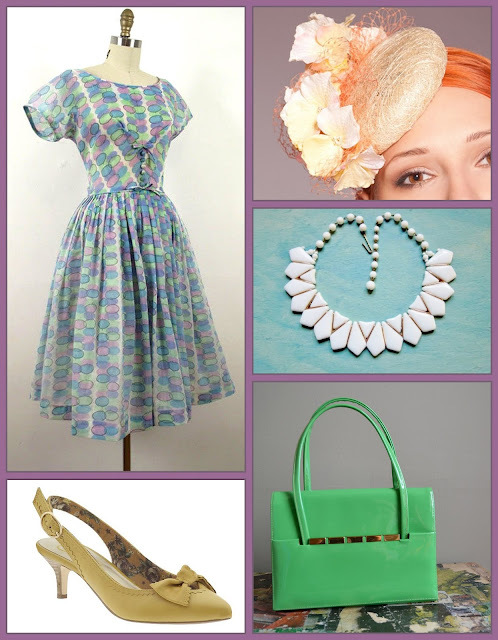 More pretty vintage please! In anticipation of the season premiere, I give you 7 days of 60's vintage dresses.